In our weird little society, both inside the internet and out of it, we're always trying to put on a brave face and chase away those emotions we don't quite like. We show people our successes (Got a book deal! Wrote X amount of Words today!) but shy away from sharing anything really negative about ourselves. After all, who likes a Negative Nancy? People who are constantly negative bring you down and you don't want to spend time with them (let alone a whole book with them), but the opposite holds true as well. When we're all sunshine and roses and success stories, sometimes people can find it hard to relate to us. No one's life is perfect. I believe this stands through in writing as well as real life. Struggle helps us sympathize with others. If you have the Mary Sue MC who never runs into any troubles, it's easy to dismiss her as unrealistic. So why do we insist on dulling down our negative emotions, hiding them away, and pretending the world is simply full of Mary Sues? Emotion and writing go hand in hand because emotion and life go hand in hand. If you as a writer are feeling something really strongly while writing-- if your own story pulls anger or surprise or general shock from you, you have a greater chance of eliciting that response in the reader. But how do you tap into that swell of emotion? How do you find the right words to bring it out? I believe the first step is acknowledging your own emotions throughout your day to day life. Do you try to shut down anger, or put it away for later? Do you hide feelings of grief or sadness behind a big smile? Why? Because other people might be put off of your negative sides? Currently, I set today out to write. Write, write, write. But I woke up in a horribly depressed mood. I just want to openly weep over my keyboard for no good reason. Usually I use this as an excuse to avoid writing. After all, it's next to impossible to form decent sentences when it feels like my brain is moving through molasses. But the scene I'm currently writing is a sad one, so I forced myself to sit down and write, because as I feel nearly exactly like my character would feel, it gives me an opportunity to look inside and understand what that really feels like and then find the words to convey that to someone else. Often when I'm writing, my character may come across a situation I couldn't even imagine. Their best friend is killed. They have to undertake a massive responsibility. Yes, I can go with the most obvious way they may feel about those things, but I often feel like that's not enough. We don't have a "boo hoo" moment when someone close to us dies, we have a long lasting grief that can affect us in multitude of different ways. When you hit those moments where you're angry beyond belief, when you're shattered inside, or even when you're so overjoyed you don't know what to do with yourself, take a moment. 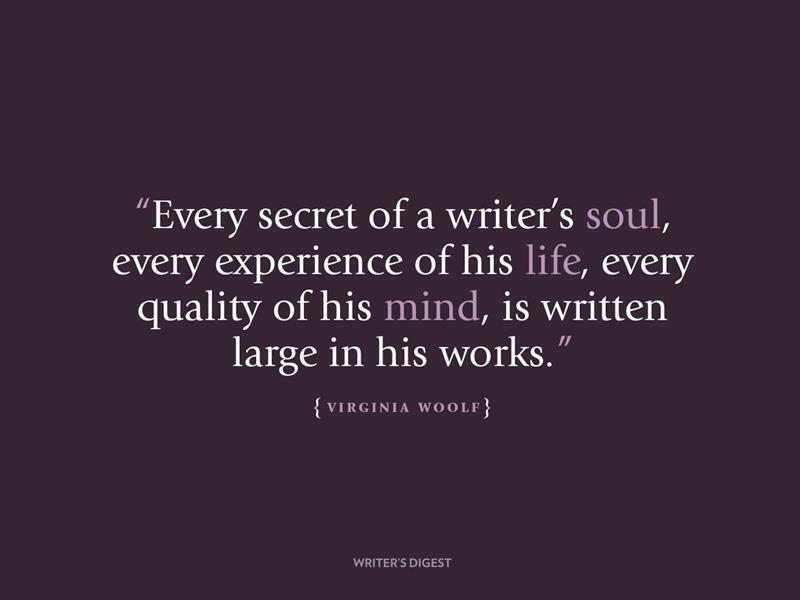 As a writer, take yourself inside your own experience. Try to describe to yourself how it feels. How would you make a reader understand what this feeling is like? You may not be slaying dragons or dealing with your friends being murdered, but the foundation of those feelings is there in your everyday life. When putting characters through those larger than life situations, we can take what we've learned from introspection and what it feels on a small scale, and then blow it up to larger than life proportions that suit your character's situation. We specialize in the human condition. Life is long but unfortunately book pages are few. To create something really poignant, you need to take as many opportunities as possible to really make your character feel. Utter disappointment. Failure. Depression. Motivation. Joy. Elation. Lust. More so, those emotions are much more powerful when you can touch on what it really feels like. How many times have you had minorities of any kind (Disability, mental illness, POC, LGBT, etc) look at something and say, "This isn't right. This isn't what it's like." The same can be happen for feeling, for events that cause those feelings, and for inaccurate responses to those situations. It's why I take some time to think how my character (not just anyone, but the character I've built so far) may feel about something. We'll never get it perfect, because everyone is different and experiences things differently. There will always be people who say, "That's not right," regarding how your character reacts to a situation, how they feel about something, what they get angry at, etc. It's because of the diversity of the human race, and it's that diversity that we really want to capture. If every character reacted how they were "supposed" to, it would create the same story over and over again, invoke the same feelings. As artists, we're always looking for something new. So take some time each day and consider how you're feeling. Take a break from reality and ask yourself how you reacted to that snide comment from a coworker. Consider how missing breakfast made you feel and affected your mood. Often there is so much going on within us that we disregard in favour of focusing on the outside world, but that inside world is where we find humanity, which every reader is looking for. What are your thoughts? How do you go about capturing emotion? Let me know!